Remember the teasers I released a few days ago about my collaboration with Pantene? (Read it here.) Well, look number 1 for the Stylista x Pantene series is finally here! The F/W 2012 hair trend assigned for this look is called “controlled chaos“. Pantene hair expert Alex Carbonell was tasked to execute a hair style that shows controlled spontaneity, where textures, colors and technique vied for prime position. Prior to this first step, Alex’s team already shampooed and conditioned my hair using Pantene’s Total Damage Care variant. See how shiny and manageable my hair looks here as Alex’s assistant combed through my hair and gathered it in a ponytail. So what’s my textured but controlled hairstyle? Fishtail braids! I love it so much! I wish I know how to do it myself so that I can keep my hair away from my face while keeping it interesting all the time. This is Alex doing a final check on my awesome ‘do! As I’ve mentioned in my first entry about this project, all the hair trends we’re doing were gathered from F/W 2012 catwalk hair trends. This particular hair look was inspired by wanting to create a contrast between the beauty of the clothing collection and the girls who modeled it. Taking my cue from this, here’s the ensemble I came up with. It’s my version of “controlled chaos”. 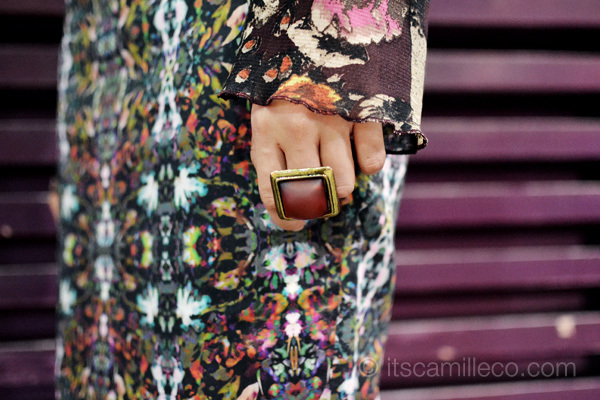 The chaos here is brought about by the clash of colors and prints. The clothes I’m wearing may not be textured but the prints on them give my look a 3-dimensional appeal and provide a nice transition from the textures of my braid to my top’s print. But even amidst this “chaos”, the pairing of these prints was carefully thought out. You can’t just randomly throw prints together especially when they’re of different kinds. There has to be a certain type of “control”. To tame down the “chaotic” look even further, I also made sure my top and skirt are in basic silhouettes. Nothing too fancy. They have to be streamlined. I kept my accessories simple as well. I made sure they blend in well with my top and skirt so I definitely stuck to the same color palette. There you have it! My first of 4 Stylista x Pantene hair + fashion challenges. How do you like my hair for this ensemble? If you want to make your own version of controlled chaos, don’t forget to pamper your hair with Pantene’s Total Damage Care. This look involves a lot of texture so damage from extreme styling may occur. Remember, no amount of great styling can hide damaged hair. If great makeup starts with healthy skin, beautiful hair starts with healthy hair. the over-all styling is impeccable! well-thought out and very put together <3 your hair is too pretty for words! That braid is soooo amazing! grabe. magkaibang prints pa yan and you still manage to pull it off? how could you!!! How long did the braid take? Curiosity arises. I love your top by the way. Pretty as always. Super fast lang! :) Thanks Paulene! you’re so pretty! I don’t know how you’re able to clash prints and look absolutely stunning. When I look at two prints in my closet and imagine if it will work, I’m always scared of what I might look like and what people would think. Haha postpartum! Thanks Pip! Pantene can really do wonders! I think Pantene will release bts or how-to videos :) Stay tuned! 1 down, 3 more to go! Excited for the other 3 post. More Power to you!! and your outfit also gorgieus.. Very nice outfit combo indeed! I wish I am tall enough to pull it off:) Are you above 170? Ohhh..For some reason I had a feeling someone was wearing a braid. Haha. It looks good on you Ms. Camille! You do have a beautiful shining hair and i’d love your outfit. You’re always look gorgeous! (inspired?♥) Is your outfit is a corporate attire? Yes! I love Googly Gooeys! I agree! I think Pantene might release one :) Stay tuned! hi miss camille! i am wondering what color of contact lenses do you use? it looks so good and natural on you. wish you all the best. Off topic, who’s the photographer? Strobing technique looks very familiar. That’s interesting and cool hair style. Can you post how to make that style when you figure out? I would like to have that skill bad!! My hair is so fluffy..
Huhu! I was so insecure of them when I was younger haha! Haha nicely put! I shall think so! gorgeous! :”> you look good with your fishtail. hihi. you should learn how to do it. it`s easy. easier for you because you have long locks. :)) I like the prints. it`s not an eyesore. :D but I bet it`s a different fishtail. but it’s cute. 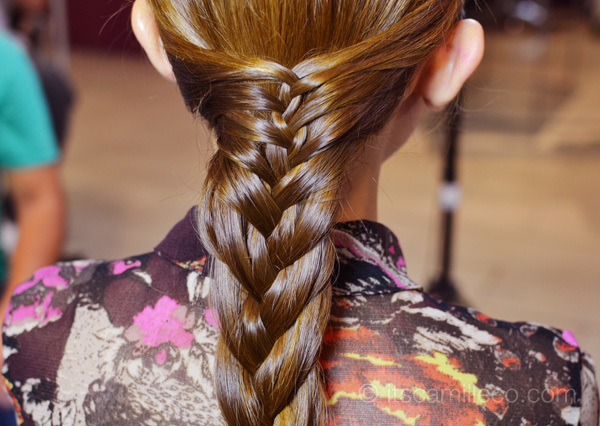 try watching the video tutorial of how to do the fishtail braid. Thnaks Dheya! :) I want to! I will! your outfit is amazing and your hair too. in all your post, you have a make-up artist o ikaw lang po nagme-make-up sa sarili mo? nice!. your a make-up artist too. galing naman!!! opo ate camille.^^ i mean in your other post when you are not came from a photoshoot. Did your assistant take these shots using your camera or was it a real photographer? Love how they were all taken! And your hair! I wish your hair looks “professionally done” in every look you will post! You look gorgeous! By the way, what’s the brand of your contacts? Does it have a grade?